Have you always been a morning or an evening person? Do you have a family member or a colleague that seems to operate on a completely different rhythm than you? In this second part of our guest blog series, our prestigious visiting writer Dr. Benjamin Smarr tells you about chronotypes – our genetically shaped circadian preferences – and their effect on our everyday life. Everyone has a genetically-shaped chronotype, like lark or owl, that makes them want to sleep earlier or later relative to the sun. Chronotypes come from our cellular clocks, which can run either a little fast or a little slow. Recognizing that there is a biological basis to time preference is important. Society is slanted in favor of early types (imagine how painful getting up early for work or school is for most people), which creates an unfair burden on a lot of people just for who they are, biologically. I have always been a morning person. Up without an alarm at or before 6AM, raring to go. At the same time, I’m not much good at a party. By 9PM, I’m usually fading fast. I’m what chronobiologists call a “lark”, meaning the proverbial early bird. Lark is my chronotype. Chronotype is a biological trait, and like height or weight, comes in a distributed range. Keep an ear out for chronotype developments, because new discoveries keep coming out, especially as more people share data from wearable devices. Despite how young the field of chronobiology is, some things do seem pretty clear at this point, including the biological origin of chronotypes, and their importance. Chronotype seems to be mostly dictated by genetics. The speed of an individual’s biological clocks is determined in large part by the proteins that make up the clockwork inside our cells. Mutations that change how strongly these proteins interact make the clock run faster or slower. Because our clocks are build up from many such proteins, there is a lot of room for small modifications that make different people’s clocks slightly different. These clocks are almost never exactly 24 h on the dot. Instead, people with clocks that run faster than 24 h tend to be larks, while people with clocks that run longer than 24 h tend to be more owlish. The longer the clock runs, the more like an owl the person becomes. People with clocks that run faster than 24 h tend to be larks, while people with clocks that run longer than 24 h tend to be more owlish. But what do you call someone who is between a lark and an owl? You know, the majority of the population. If I have to refer to “intermediate” chronotypes in a paper, then I call them finches, just to keep with the bird theme, but there is no consensus. Really, the same could be said for categories like “lark” and “owl”, which are more a useful shorthand than clear-cut biological categories (if Mary goes to bed at 1am, and Jim at 3am, are they different kinds of owl? Or is one more owl?). Some people might even be bimodal – more dawn and dusk types – than just morning or evening alone. In part, this seeming indecision is really because we’re still learning about the diversity of chronotypes, and don’t want to make boxes too soon that might artificially constrain the way we think about this largely undescribed phenomenon. Some pop-culture stabs have been made to introduce chronotype categories, but while new naming schemes can be fun, and help spread awareness of the concept, always keep in mind that there just are not hard-and-fast answers to most chronotype questions yet. There are even chronobiologists who argue about whether chronotypes really exist, or whether they are an artifact of our modern world. When you look at communities without electricity (tribes in remote places, or just people going camping without electric lights) they all tend to sleep and wake up around the same times, because after it’s dark, you can’t do much. To me that suggests that chronotype probably creates a range within the population that is constrained by light, and so artificial light has let people express their chronotypes more fully than was previously possible. But you can imagine that it’s hard to do control experiments on large populations of people where you take away their electricity! One way around this difficulty is to look for clues in data people generate in their daily lives. How Does Your Chronotype Affect You? On the weekends, I keep the same schedule as during the week, and that tells me that my body clocks are happily ticking away. If I slept in on the weekends, that would be a sign that I was not getting good sleep during the week, and my body was trying to catch up. Even if I got 8 or 9 hours a night during the week, if that sleep came at the wrong time (according to my internal clocks), then my sleep would be misaligned, and my clocks might still try to spring back to their preferred phase on the weekends. One way to think about this is that if I woke up 2h earlier than my clock wanted on weekdays, then that would be like my flying 2 time zones west every day – that’s why we call the phenomenon “social jetlag”. The “does my sleep change on the weekend” test can be a quick and easy tool to check whether you are getting social jetlag often or not. Social jetlag is not the same as chronotype, but the two interact to make an individual’s clocks more or less internally stable. The most common form of social jetlag is getting up too early for a given chronotype. But if an early chronotype has to stay up late for their job or to take night classes, that’s social jetlag too. The most common form of social jet lag is getting up too early for a given chronotype. But if an early chronotype has to stay up late for their job or to take night classes, that’s social jet lag too. When the clocks in your body get jetlagged, some adjust faster than others, and it takes roughly one day per hour of jetlag for them all to come back into synchrony. In my research working with students, we’ve found that students who experience more social jetlag tend to do worse in their classes. Put another way, students who sleep on a more variable schedule tend to get worse grades, even if they get the same healthy duration of sleep each night. The longer someone experiences social jetlag, the longer it takes to undo all the damage that internal misalignment causes. Even if you only roughly know your chronotype, you can try to schedule your life to fit your time, and avoid imposing social jetlag on yourself. To the extent that you can control your schedule, that will keep you healthier and mentally sharper. Looking to the future, we all need to think about how our society puts an unfair burden on about 1⁄3 of the population who are owls by expecting everyone to work relatively early day (e.g 9–5 work, or 8–4 school). Appreciating that chronotype is genetic makes it easier to agree on adding more flexibility, and to get away from unfair stereotypes that people who sleep in are just lazy. Next time, we’ll dive into how and why chronotypes can change. There are limits to what we can change by will, but there are big changes that happen across our lifetime – think how much later teens sleep, and how much earlier grandpa gets up. The more we know about how time shapes us, the more we can build a society that optimally fits everyone, and is thereby healthier, more productive, and happier. Dr. Smarr received his Ph.D. in Neurobiology and Behavior at the University of Washington in Seattle, and is currently a National Institutes of Health Fellow at UC Berkeley, where he works with with Professor Kriegsfeld in the Psychology Department. His work focuses on understanding how biological timeseries carry information useful for predictive medicine and personalized wellness. His specialties include circadian rhythms, sleep, female reproductive rhythms, and computational signal processing. If you’re interested in tracking your sleep but don’t yet have the tools for it, have a look at the Oura ring in the Oura Shop. 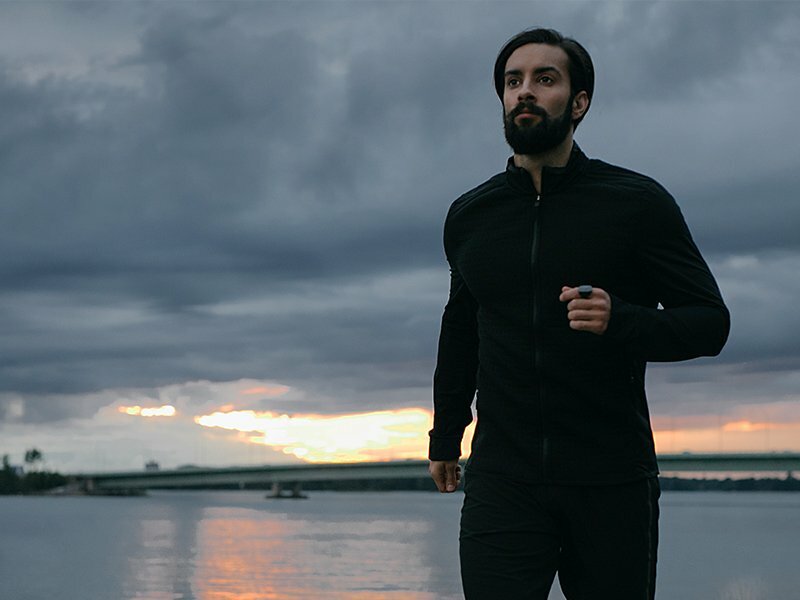 If you have an Oura ring, read this article to get to know the Oura sleep metrics, or dig deep into your data in the Oura Cloud.